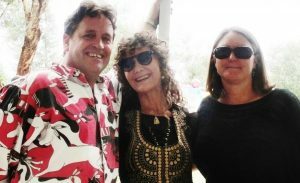 Sacred Cow’s repertoire is a genre-jumping, up-beat collection of songs from the ‘colourful’ life of songwriter, Sarah Cowan. Embracing social commentary and political activism, Sarah’s weapon of choice is an open-tuned, percussive guitar utilised to shoot down ignorance, challenge taboos and inspire empathy. Joined by Jeremy Kemp on funky bass and viola Brasilliera, and Jo Baxter shaking it up with percussion and stunning harmonies sacred cow acoustic are set to reinspire audiences and fellow musicians alike.